Made in USA - Engineered in Germany. 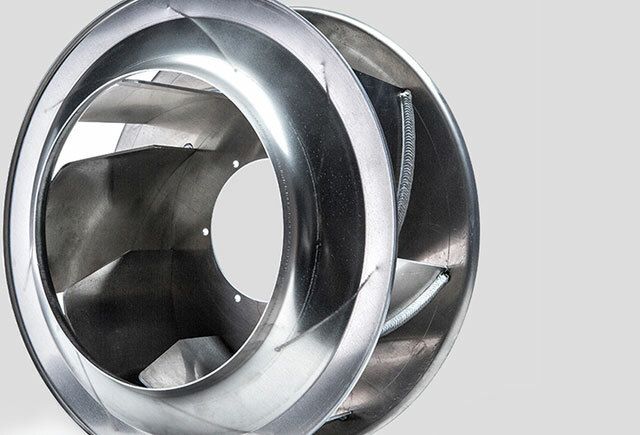 We manufacture fan wheels and blowers in large and mid-size volumes for over 1,000 customers on every continent. We use more than 230,000 square feet of production space to manufacture some 22,000 different product variants. Our machines are managed by a comprehensive computer-controlled process, ensuring short cycle times, and an efficient, cost-effective, lean manufacturing process. Our global logistics services make routes short and deliveries fast, and we offer an exceptional level of personal service and support by staying in touch with you worldwide through a personal point of contact. With upcoming energy conservation standards for air conditioning equipment and high pricing volatility in the energy sector, the search for more energy efficient products will surely continue. Thanks to the new punker diffuser technology, the D-Series blower wheels achieve a high degree of efficiency resulting in higher power density and lower noise transmission. The punker Group, headquartered in Eckernförde, Germany, has been specializing in the development and manufacture of blower wheels since 1954. In 2012, punker LLC was founded in Hickory, NC to offer our US-customers ideal close-by service. Our radial and cross flow wheels are custom designed to fit the industry’s needs. Our sales network is arranged to enable you to have personal contact with us, make use of our extensive service and work together in a close cooperation. We place great value in your satisfaction and a close and long-lasting business relationship.